Tweed Deluxe 5E3 Tone with Tube Driven Spring Reverb! We have been asked several times to make a Deluxe with a Fender Style Reverb that won't darken, weaken, or alter the awesome tone of the 5E3 circuit. Well after experimenting we believe this is it!!! Tweed Tone with Reverb and no compromise on the classic tone!!! The Reverb unit mounts to the inside of the cab and has a Reverb level and Dwell Control!!! 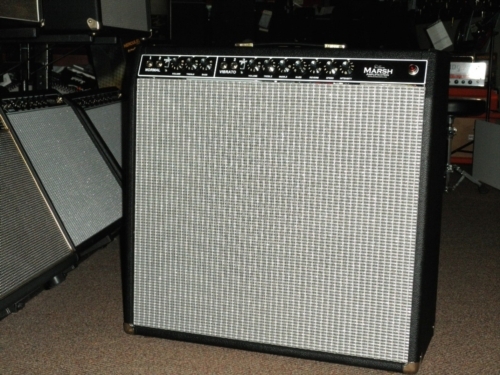 Like all Marsh Amp Replicas, these are made to order and have a 4-6 week lead time. This product was added to our catalog on Monday 06 October, 2008.